If we tax the multinational corporations will they leave? Tony Veitch: I’m the Real Victim Here. It’s already been noted in comments, but I thought that marking this great event deserved its own post. To me, this really signals who is running the show, who is still running the show, and what their values are. Meanwhile, the rest of you can continue to eat cake. Carry on. he said in a written statement: “I am truly honoured to receive this award in recognition of my service to politics in the UK and especially proud that my family can rightly share in and enjoy the recognition. “It is also recognition for the thousands of candidates, campaign staff, activists, volunteers and my company’s professional colleagues who I’ve had the great fortune to work alongside in the UK – across elections over the past decade. Isn’t it nice of Mr Crosby to recognise that he is part of a much larger network of colleagues, contacts and employees who make his success possible? lprent: I amended the excerpt to conform to the site’s legal obligations. You sensed a wasted opportunity with this photo ? ? ? Me too: blood red would go nicely with the carpet ! [lprent: We don’t advocate illegal acts. Looks like I will have to amend CV’s excerpt. Ummm… I think it was just a figure of speech on Jenny Kirk’s part. Granted… there are a lot of stupid rwnjs out there who might see fit to interpret and report as an incitement to violence. Hi Lprent, all I suggested in my original front page post excerpt was some fully consensual sexual activity between consenting adults while on bended knee. I didn’t read it that way, and obviously nether did JK. I guess you should have made it somewhat more explicit.. Apologies lprent – didn’t think !! He was getting his knighthood, whilst his great racist gambit fell apart with the people of London voting for a solid left wing Mayor. I wonder what’s going to happen to John Key’s expected knighthood? He’ll no doubt get one, or the equivalent, after a change of government plus one term…isn’t that the standard operating procedure for our politicians regardless of their flavour ? and it will be even more meaningless then, he can fly off to Hawaii with his photo album and his knighthood…..and he will realise what a vacuous life he has lead. @ Anne (2.1.1) … FJK will probably get something from the Queen I’d say. However it might not be in the form of the much anticipated Knighthood though. Hopefully, it will be more like accommodation at Her Majesty’s pleasure, for crimes against the state! There’s a parliamentary convention Anne that if an honour has been offered and accepted, then the incoming government allows it to happen. Low turnout usually favours the Conservatives, and they still did terribly. Sad trombone music for you. What is the cause ‘they’ believe in? The unvoting public are the people that don’t matter. Faith in the evangelical nature of the cause, underlines the fervour for the new religion of riches. 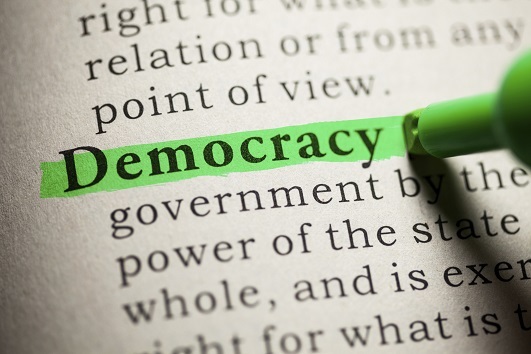 Is the ‘conservative’ one that works aggressively to get into a position of maximum power and wealth within the appearance of an open democracy, while at the same time working to sew it up so that in reality it is a dictatorship using the state’s services in such a way as to diminish the individual’s democratic power. Elections to the power-pushers are just reality tv shows, the polls are their ratings, that ensure that the money-backers keep pumping their facilitating money to them, and assisting them to achieve the best and most effective propaganda to the voting public. Less than 1% of the population benefit from Crosby’s politics. Untrue. The top 10% of NZ households with incomes in the $200K+ pa range benefit handsomely from today’s system. Another 10% of NZ households with incomes well over the $100K range do alright, quite comfortably in the short term to medium. That’s a decade long Anglo Empire campaign against a small country which insists on having an independent economic and foreign policy which doesn’t recognise the premiership of the Anglo Oligarchy. Poetic it is that Sir Lynton Crosby gets knighted by Prince Charles on May 6th and yesterday his Zac Goldsmith Campaign for The Conservative Party fell apart because the epic diversity that is London saw through their dog whistle racism campaign Sadiq,Khan demonstrated remarkable dignity in the face of the Goldsmith/Crosby election strategists smear campaign of hatred and suspicion. I think a Knighthood suits him as just like most knights he is a relic of history! That history is being laid down today though. He is not even recent history, he is present and pre-history. Bet FJK is pleasuring himself silly just looking at the photo of Crosby receiving a knighthood! I thought the post said……Arse, Sir Lynton.